Microsoft announced Office 365 Connectors in limited preview back in the fall, but is now opening the offering up to all customers. Connectors are available now, spanning services like MailChimp, Asana, GitHub, Stack Overflow, Aha, Zendesk, Salesforce, Twitter and UserVoice. There are over 50 connectors available now with more to come. 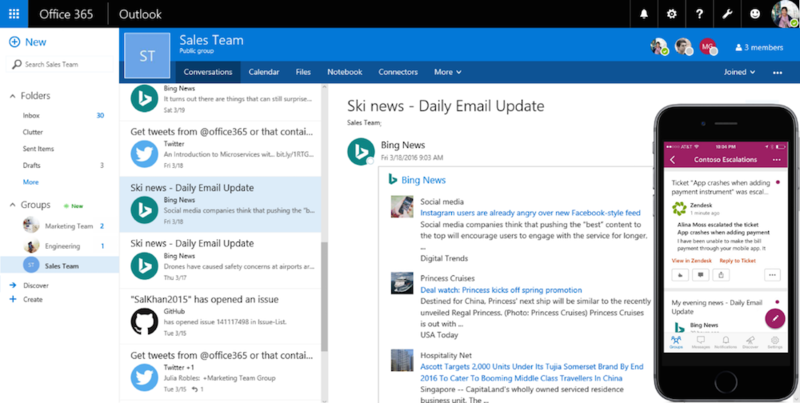 The company says it will bring Connectors to Outlook inbox for individual users in the future. You can peruse a list of frequently asked questions about Office 365 Connectors here.